Pick someone your own size! oh wait, he did... Wow! Pick someone your own size! oh wait, he did… Wow! 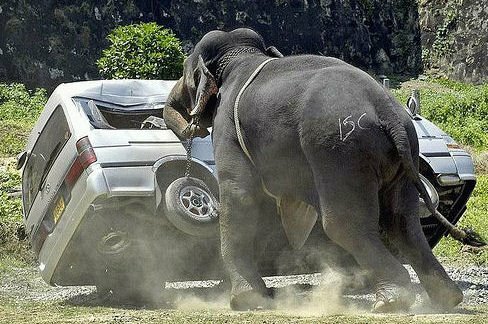 Angry elephant attacks car. Amazing picture!